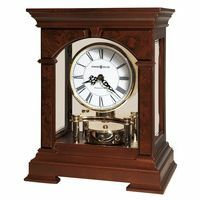 Bracket Clock in a Cherry Finish with a Quartz Dual Chime Movement. 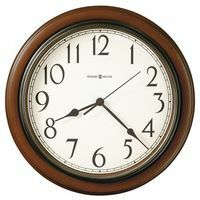 Traditional American styled bracket clock made from select hardwoods in an elegant cherry finish with a brass finished handle. 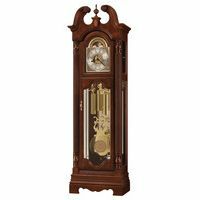 Rich embossed metal dial with black Arabic numerals and black metal serpentine hands behind the opening front door. With a mechanical brass 8-day key-wound movement that plays 4/4 Westminster chimes.